1. 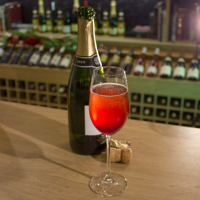 Pour some Bottlegreen Spiced berry cordial into a champagne flute, to taste. 2. Fill the remainder of the glass up with Waitrose In Partnership Cava.